When it comes to spending money, Howie Mandel, host and executive producer of CNBC’s “Deal or No Deal,” has a key rule that he says : no gambling. That conservative nature, Mandel admits, would likely make him “one of the worst contestants ever” on “Deal or No Deal,” where those who participate must often take big risks to win. He’d rather stick with a sure thing. “The guarantee you put in front of me is $15,000? I’ll take it,” he says. The family arrived at the Vegas Strip and entered a casino, where Branson gave his children $40 each and placed bets for them on a roulette wheel. In minutes, they’d lost all their money. Sometimes the fun can pay off. On that Branson family trip to the casino, Branson’s children noticed they had inadvertently left a few spare chips on the table. As they got ready to head back to their hotel, he writes, they were met with applause and a pile of winnings. And when Tomorrow Rodriguez, a 2008 “Deal or No Deal” contestant who only planned to go home with enough money to pay off her “and a little bit more,” took a risk on another briefcase, she ended up as the second-ever $1 million winner in the United States. Whatever your stance on risk-taking, Mandel says, “Only gamble with money that you are OK with losing.” And be sure you have for when you need it. 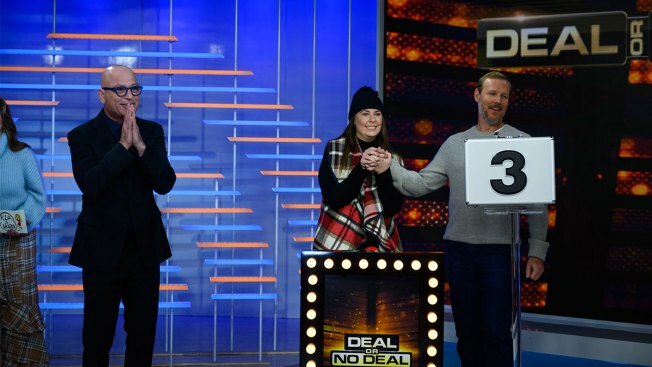 “Deal or No Deal” premieres on CNBC Dec. 5.